Time to close out the week with this sunset into Honolulu Harbor. 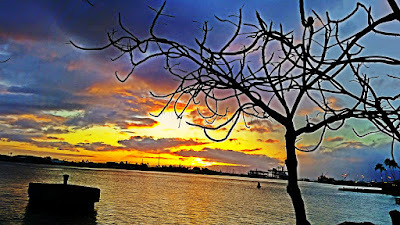 It is nice that just steps away from downtown Honolulu you can stop and look out at the harbor. I especially like how the tree played into this shot. I hope you all have a wonderful weekend. 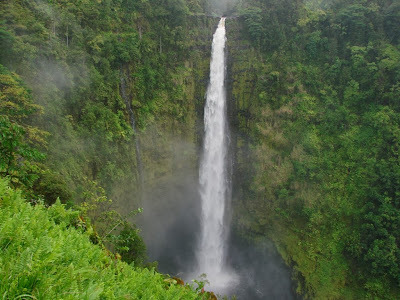 As we weather started to close in we hit Akaka Falls which is truly awe inspiring. I managed to get vantage point were I could get the whole waterfall in one photo through it did require a tripod and some maneuvering to get the right vantage point. I just love waterfalls and could have hung out there for a long time however we were hit with a downpour shortly after this photo was taken. I’ve always loved bamboo and with a grove of bamboo if had to stop and take this photo. 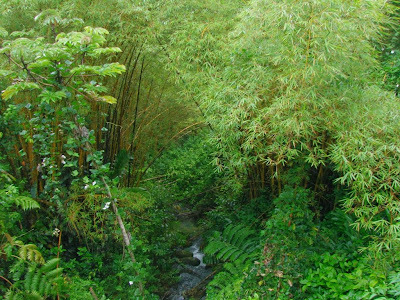 Here the stream meanders its way through the lush greenery. Its moment like this that I realize how lucky I am to be living in Hawaii. Unfortunately the price of something so nice and green is rain and it did rain shortly after this photo was taken.